Urology Associates today announced that Drs. 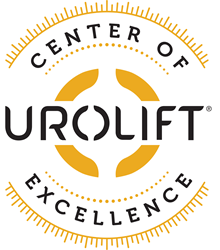 Douglas Dewire and Brian Butler have been designated as a UroLift® Center of Excellence. The designation recognizes that Dr. Dewire and Dr. Butler have achieved a high level of training and experience with the UroLift System and demonstrated a commitment to exemplary care for men suffering from symptoms associated with Benign Prostatic Hyperplasia or BPH. “The UroLift System has fundamentally changed how I treat men in my practice who have symptoms associated with BPH,” said Dr. Dewire. “Patients are experiencing rapid symptom relief and are often able to discontinue the use of ongoing BPH medications. It won’t be long before the UroLift System becomes the new standard of care for treating patients” Added Dr. Butler. Urology Associates, Ltd., S.C., founded in 1950, is a single specialty group practice serving Waukesha, Milwaukee, and surrounding metropolitan suburbs. Urology Associates is committed to providing the highest quality of care and service for our patients. Immaculate skill, passion, and determination translate into everything we do here at Urology Associates. The providers at Urology Associates strive to provide high quality, individualized patient care to everyone they treat.